Apparently my mom. Well, back in the day (circa 1977?). 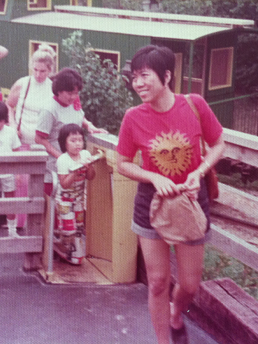 She will always be my style icon and this pic goes to show that you gotta flaunt what your mama gave you — even if it’s going to an amusement park with your kid!